I don’t know about your neck of the woods, but here in North Carolina we have been having beautiful weather this past week. We are really getting a taste of the hopefully fast approaching spring! 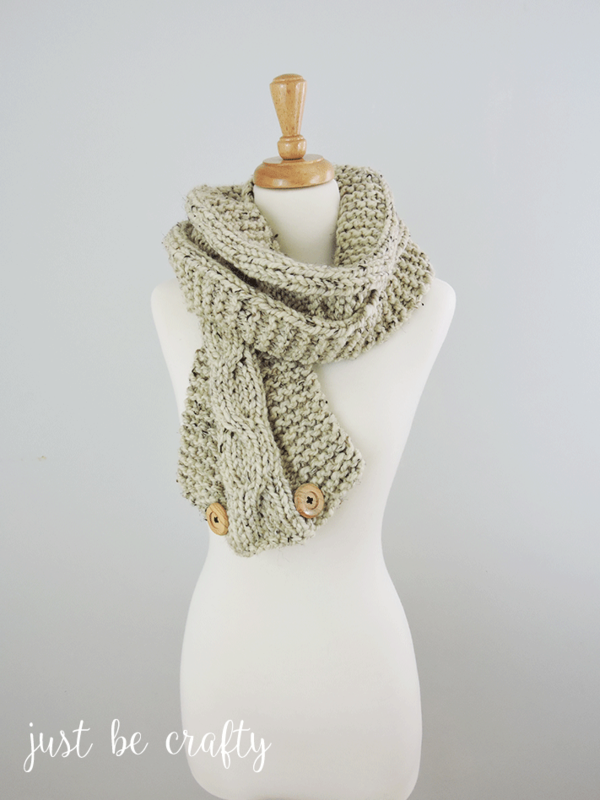 With the weather warming up, I realize I might be a little late to the game with this super cozy Chunky Relaxed Cable Scarf but I figured I would share the pattern now, since it is still February and still technically winter. 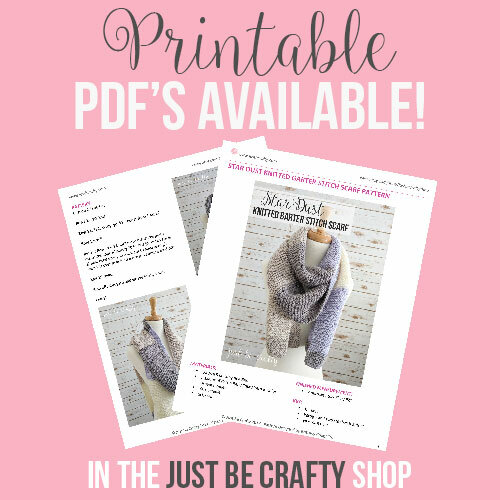 This pattern features Lion Brand’s Wool-Ease Thick & Quick Yarn, which is super soft and bulky. 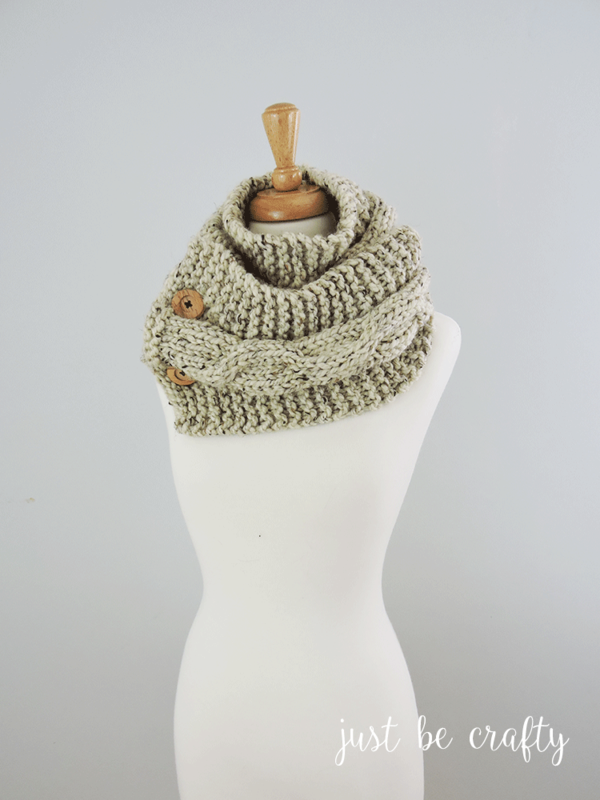 The bulkiness of the yarn allows for the project to work up quickly, and if you have been around my blog for any period of time you’ll know that’s right up my alley! BO 1 purl-wise- Bind off 1 stitch using purl stitch (purl 1 stitch, purl next stitch, using left needle, slide 1st purled stitch of bind off over the 2nd purled stitch of bind off from the right needle) – you have just bound off one stitch purl-wise! BO and weave in all ends. Using photos as a guide, sew buttons in place so that they are in line with your button holes. I’d love to see your finished projects so be sure to follow me on Instagram! Upload your project photos and use the hashtag #justbecrafty so I can see your awesome work!! « 7 Free Crochet Coffee Cozy Patterns You Need To Try! Other wise it turned out very nice. Hi Jennifer! The finished size should be about 56 inches in length. It can be made longer by adding a few more repetitions of Rows 1-16 after Row 144. This would also require another skein of yarn. 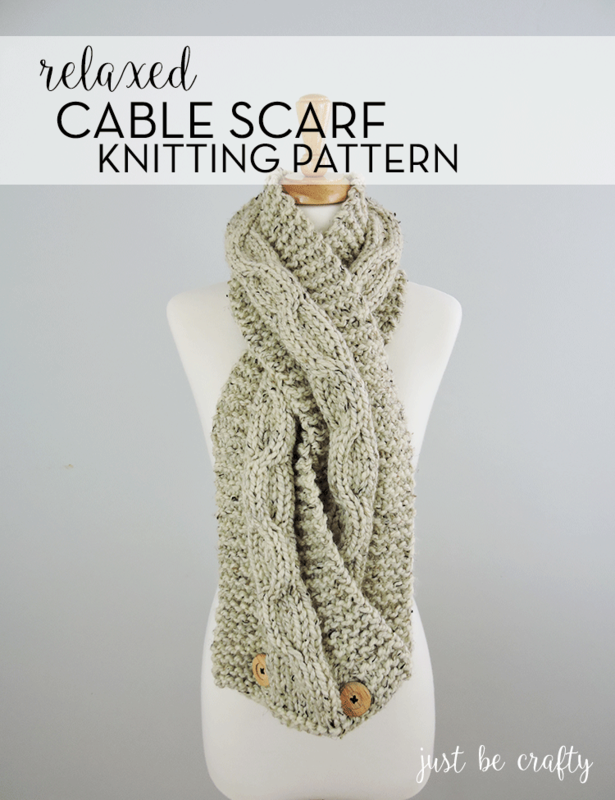 A fun knitting project to look forward to.